Alfee’s in Erie – this is how it’s done. 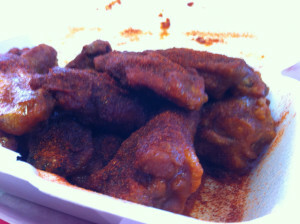 Alfee’s has long been one of my favorite locations for picking up spicy, flavorful, authentic Buffalo wings. Standing proudly on the corner of Glenwood Park Avenue, this place has a reputation for a reliably well-executed pizza & wings combo. I fell in love with my first Alfee’s wings almost twenty years ago. This place is so Buffalo it’s actually in Erie, Pennsylvania. 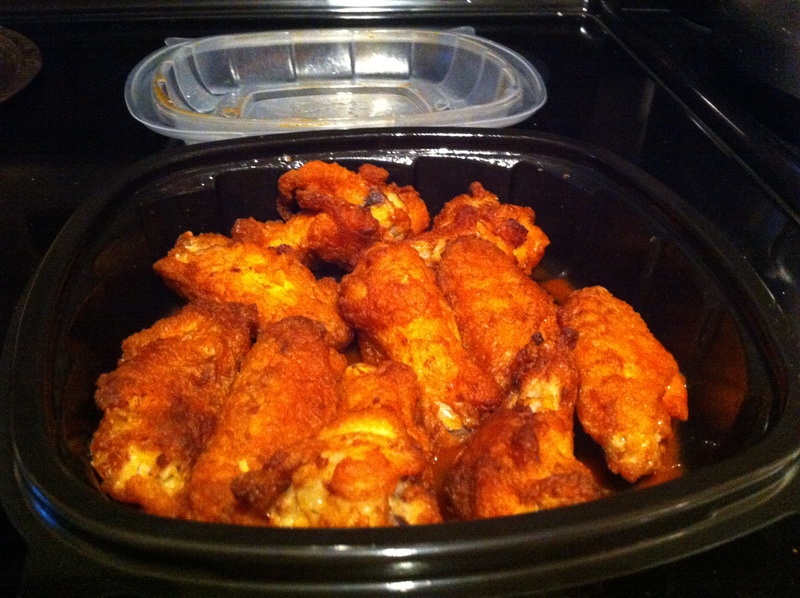 Alfee’s specializes in pizza & wings combos that the blue collar people of Erie rely upon for reliable delivery services on game day, for parties, and those dark winter nights with the kind of snow and wind that suffocates most continental souls. 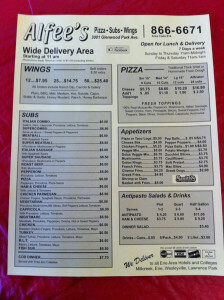 In other words, when you want some Buffalo wings in Erie and you want them right, Alfee’s is a top choice. I stopped by this spring after a couple of years of not having had the opportunity, and I was not disappointed. 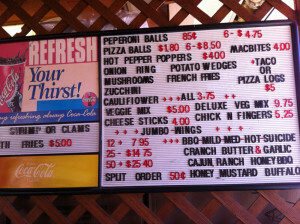 The aesthetic, energy level, menu, and even the prices all declared that Alfee’s is STILL perfectly Buffalo. I order up a few different flavors: hot, suicide, and honey mustard. I’ve got so many good memories about this place it’s hard to decide where to start. On one particular occasion years ago, a friend of mine was so overtaken by the suicide wings and the pre-dinner happy hour that he put his head down on the table and remained that way through most of dinner. Delightful. 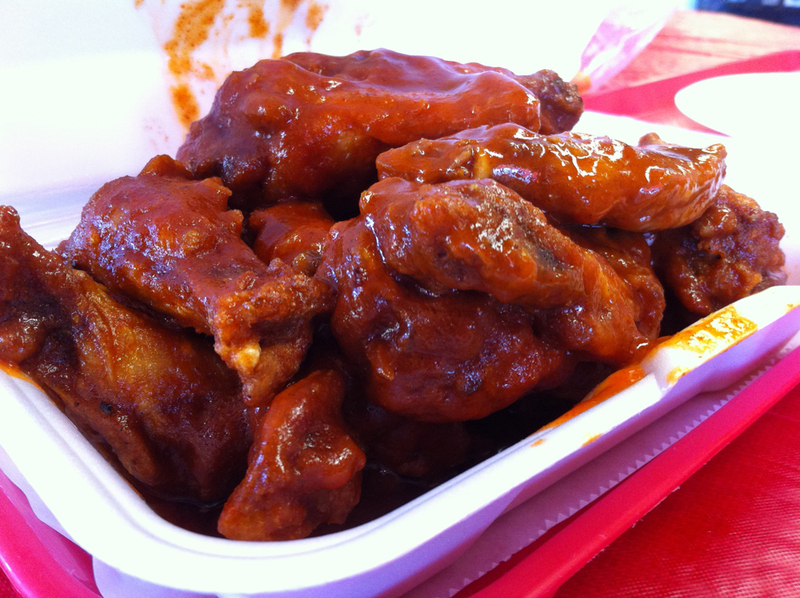 I’m hungry just looking at these saucy specimens. 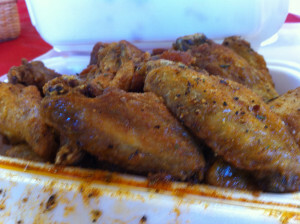 Alfee’s serves up crispy wings, fast and furious, with blue cheese and celery – as they should be. I just love seeing a Buffalo wing institution like Alfee’s running at full capacity, and this last visit was no exception – phones ringing, delivery drivers coming & going, and my order coming out promptly and perfect. I’ll tell you what I will point out: the hot sauce is leaning a little toward the syrupy side. 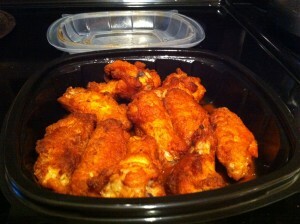 But it coats the wings much better than runnier versions of Buffalo sauce that I’ve come across. The chicken was tasty, the sauces were zesty, and they coated the wings with a really satisfying Buffalo sauce. 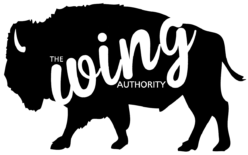 I love Alfee’s and after all its years of faithful service to Buffalo wing fanatics like myself, The Wing Authority will be just as faithful in declaring Alfee’s to be so damn TOTALLY BUFFALO. 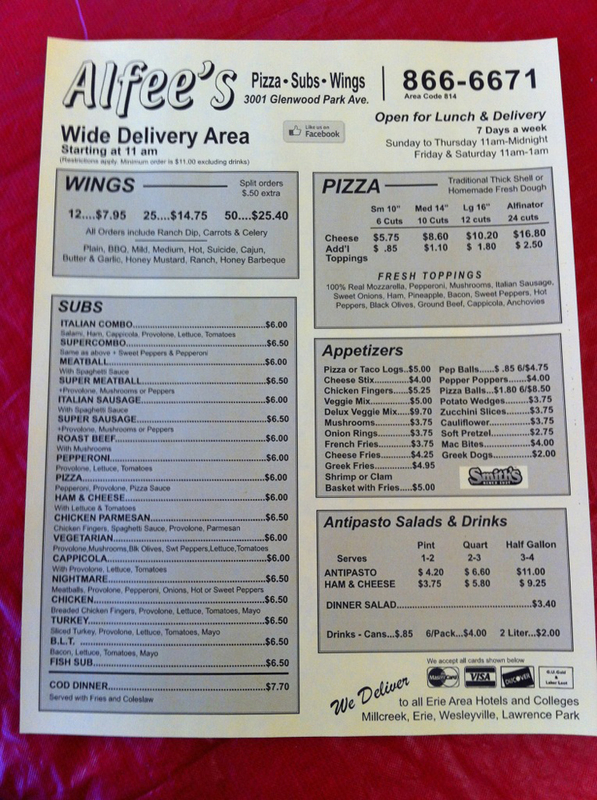 Posted on February 24, 2015 February 25, 2015 Categories Family Dining, Pizza & Wings, Wing JointsTags Alfee's, buffalo wings, delivery, dine-in, Erie PA, wingsLeave a comment on Alfee’s in Erie – this is how it’s done.